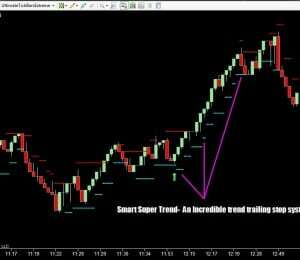 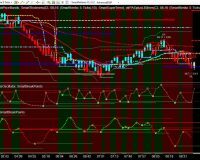 The Smart Super Trend is a revolutionary order flow analysis tool that we use in the oil trading room at OilTradingRoom.com that tracks price movement from below and above and tells you if the market is in immediate consolidation or trending up or down on any market, bar type in any intraday time frame. 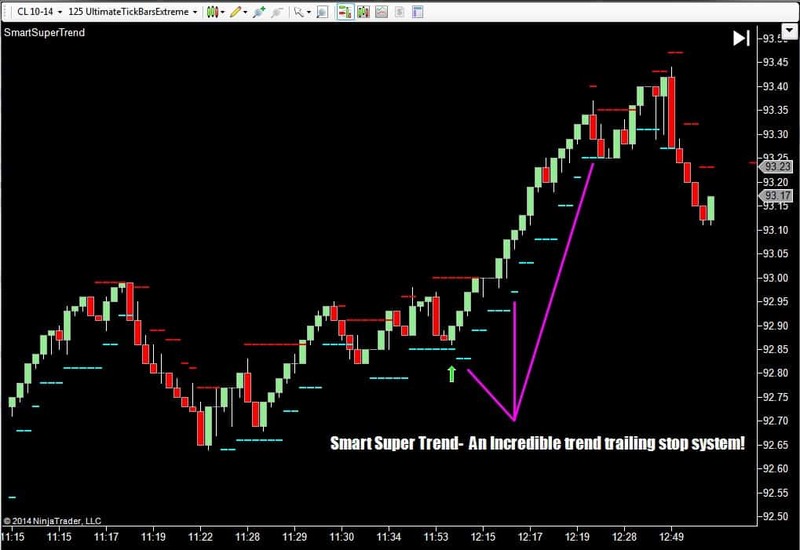 SmartSuper Trend can work particularly well with Ultimate Tick Bars and various other tick based bar types . 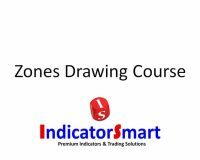 This is displayed on your chart by levels that appear and plot near the current price on your chart based on market conditions. 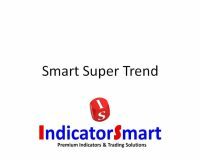 Smart Super Trend also gives you support and resistance levels which can be used for stop placement and / or for triggering trades when price goes through the level. 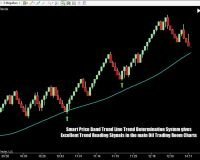 Therefore, Smart Super Trend is much more than just a trend tool- it is a stand alone trading system. Take a look at the video below for more information and trading ideas using this Smart Tool. 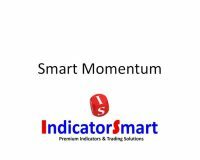 SKU: SSTrendOTR. 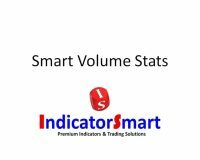 Categories: Momentum Trading Indicators, Oil Trading Room Tools. 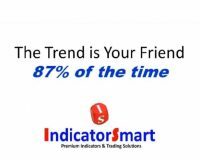 Tags: best trend indicators, Oil Trading Room, Trailing Stop Indicator, trend trading indicators.